Another benefit to using Pressbooks to create a book is the ability to add plugins to customize your book and add interactivity. This chapter highlights the H5P plugin that allows you to create high-quality, interactive content using HTML5. 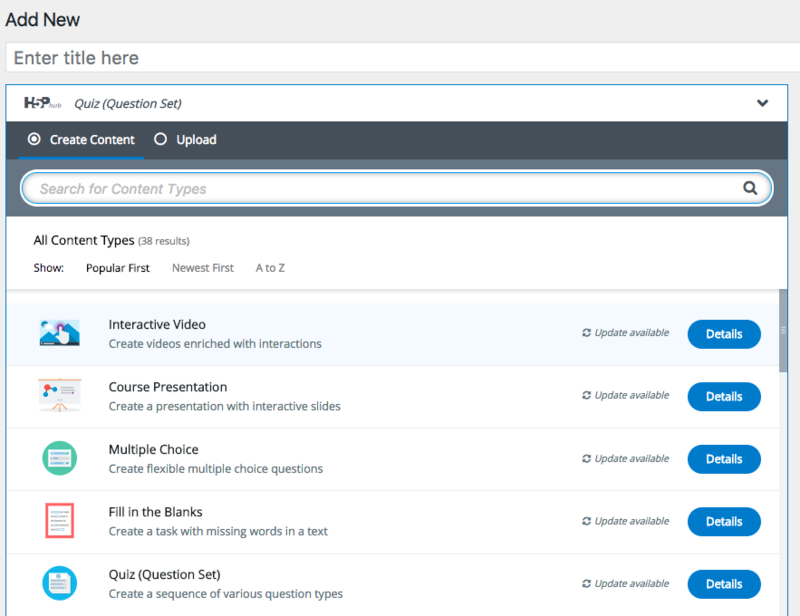 H5P allows you to create interactive content like flashcards, image hotspots, and quizzes. If your Pressbook is missing an option for H5P Content on the left side menu, you can activate it for your book by navigating to Plugins also on the left side menu. This will display the list of plugins available for your book, beneath the option for H5P you’ll see a link to Activate it. Once you’ve activated the H5P plugin, the option for H5P Content will be available on the left side menu. 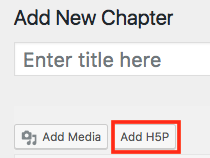 In order to create H5P and add it to your book, you have two different options. After clicking Add New or Add H5P, you’ll be on the initial H5P interface where you’ll (1) create a title for the H5P activity, (2) select the type of H5P from the drop down menu, (3) make sure the option Create is bulleted or select upload to add an existing H5P to your book, and (4) select the display options for your H5P. Once you’ve selected the H5P content type you want to create the interface for the content loads. You’ll use that interface to build your interactive content. Look for the blue “Tutorial available” link next to the content type dropdown box to get access to an in-depth tutorial from the H5P website. These tutorials will take you through the H5P creation process step by step, and often with video support. They’re a great resource to rely on while creating H5P for your book! 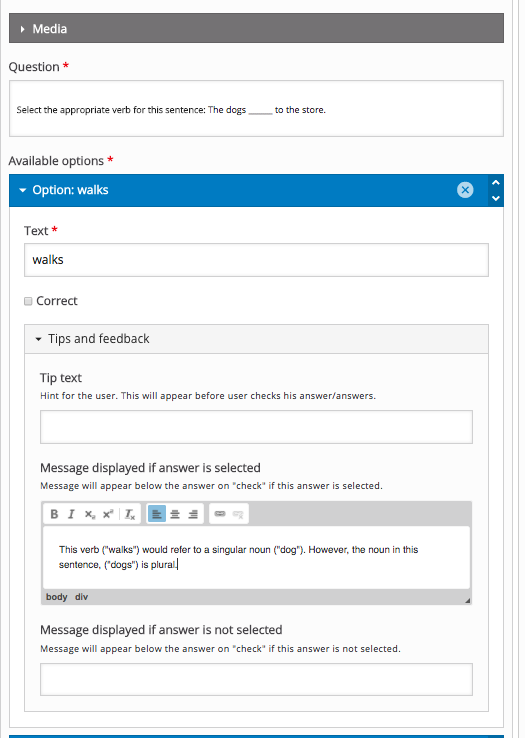 This is an example of the formatting window for multiple-choice quizzes.